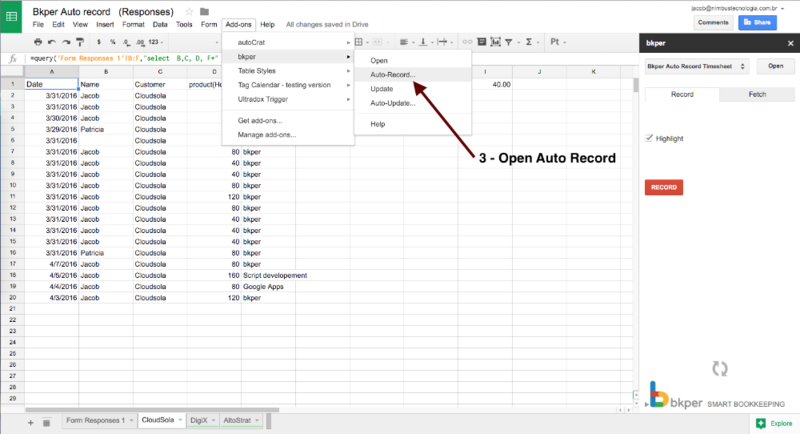 The Bkper Sheets Add-on lets you quickly record your transactions and fetch data from Bkper into your Google Sheets to centralize financial data and easily create balance sheet and P&L statements. 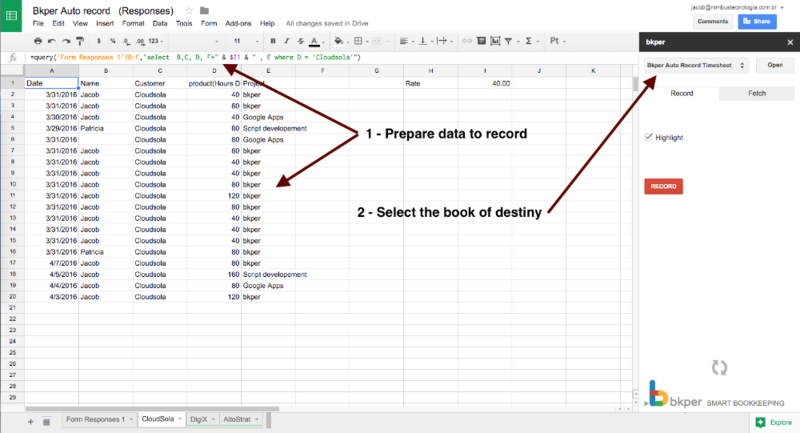 Each selected line on spreadsheet will generate one transaction on bkper. 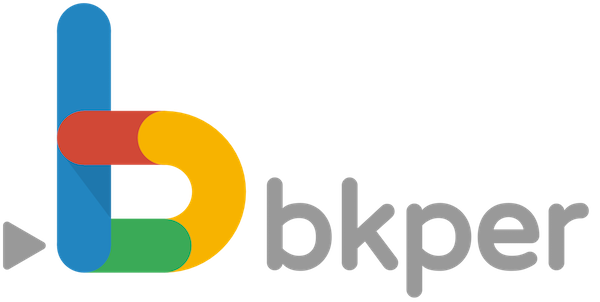 With a Column Title equal to a Group Name in your book, on recording bkper will check for the Accounts existence, in case it does not yet exist, bkper creates the new Account in that Group. NOTE: Only POSTED transactions will be fetched. Drafts are not included. 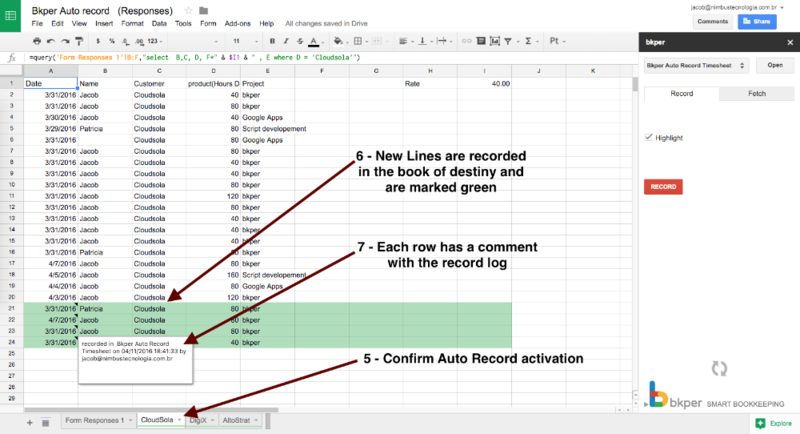 With Auto Record activated every time a new row is added to a Google Sheet a transaction is recorded in Bkper. 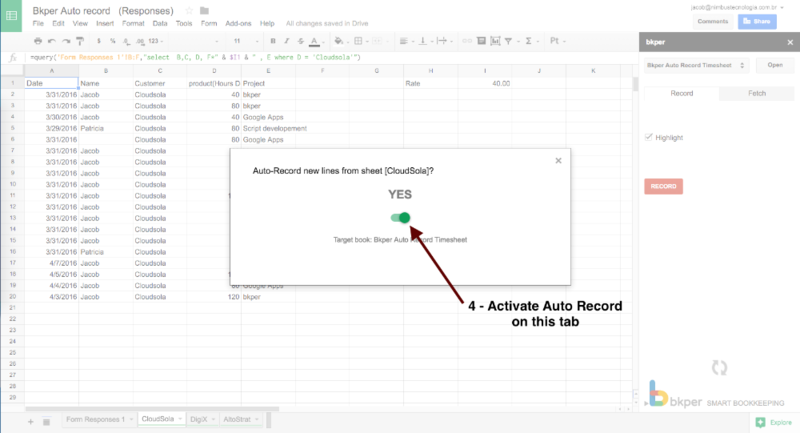 Copy the Form, Spreadsheet and Book used in the Auto Record example above.